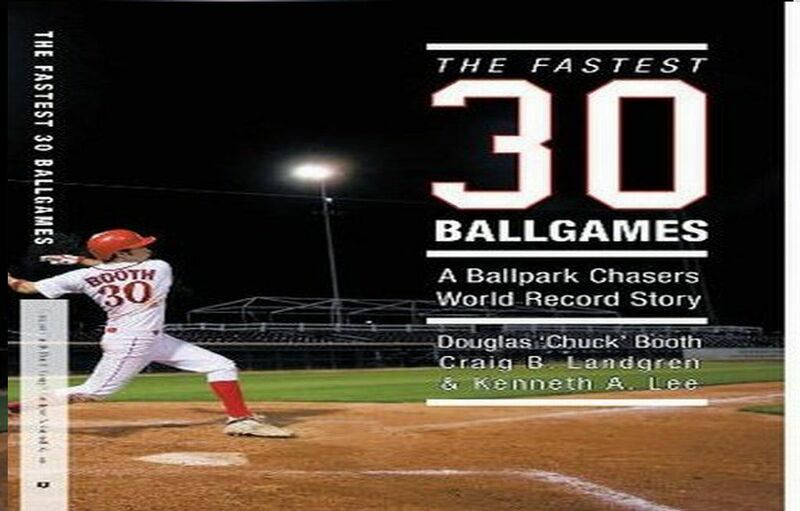 ‘Douglas Chuck Booth’ (Baseball Writer and @chuckbooth3024 on twitter)- In 2007, MLB Opening Week experienced massive snowstorms along the Eastern Seaboard. Several teams had to cancel games and reschedule them for later in the year. I happened to have a bought a car near London, Ontario that I was driving all the way across America to return to Vancouver B.C Canada that week. As I was visiting baseball parks, they were being snowed out. I tried for the Great American Ball Park in Cincinnati only for it to have been snowed out. I extended my trip by a day to make up the game in Cincy. I watched the game in a snow storm. I then went to Cleveland to try my luck at Progressive Field. By the time I made it to the park, it was under a foot of snow. I had been hoping to see a doubleheader with the Seattle Mariners being the away team. Not the case, at least I parked at the Rock ‘N Roll Hall of Fame and had something to do in Cleveland instead of watching baseball. I squeezed ‘Toronto’s Rogers Center’ back in before making my way to Wrigley Field in North Chicago. Again snow ravaged the park and prevented the game from being played. This was only game one of my new doubleheader though. I drove up 100 miles to Miller Park to see it for the very first time. It wasn’t your usual set of circumstances. In fact, the Milwaukee Brewers were not even in town. So who was playing you ask? The Milwaukee Brewers graciously lent out their ballpark to the Cleveland Indians to host a series versus the L.A. Angels of Anaheim. The Indians already had four consecutive games cancelled due to inclement weather. This impromptu series gave fans a chance to pay bottom prices for premium seats. I bought a row 7 ticket behind the on-deck circle on the First Base side. My cost was $10. I drove to Milwaukee in a snow blizzard, so I could not wait to enter the park. The Head Manager of Staff Operations was taking out some of his time to talk to the fans who were braving the elements outside to await entry into these baseball gates. This man was telling us how quick the Park staff jumped at the chance to help the Indians, Angels and MLB out. I felt good about this. Here you had employees who thought they were going to have time off to themselves, being called in to work this series in the worst possible weather and at the last-minute. The response in the two days was unbelievable. In both games, the attendance for this park was over 20,000 people. 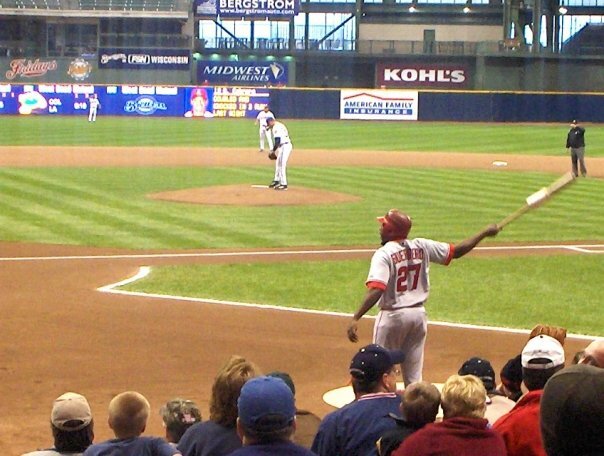 The employees at Miller Park were so accommodating to the fans. Their park was on ultimate display because of an act of generosity from the Brewers ownership. 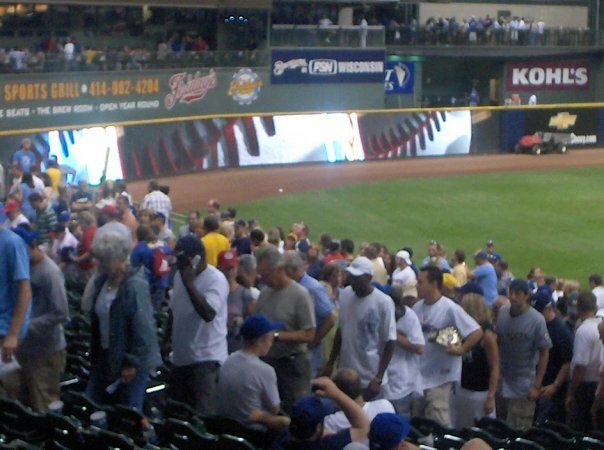 If that wasn’t enough, most of the fans that came out to the game were Milwaukee Brewers fans. I stood in amazement how ushers, the ticket office, the concession workers and other park staff all knew their most loyal fans at the park and vice-versa. It gave me the sense that you were being welcomed as a guest in someone’s home. As a fan who never had been to a game at Miller Park, I saw all of the intangibles that make this park great. 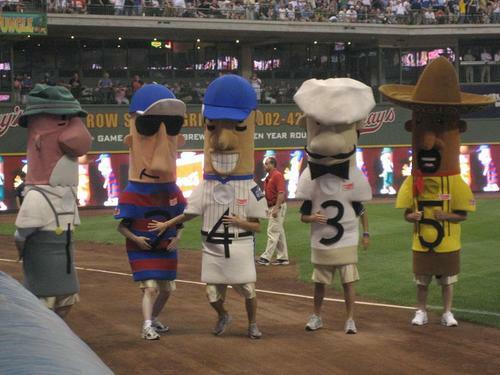 The food, the sausage races, the tailgating, Bernie Brewer was there to ride the slide if Cleveland hit a home run. The slow-motion wave turned into a speed demon crowd wave was fun to participate in and witness. Somehow I get the feeling other parks would not have come out looking so great. This topic will be brought up again on another date for those guys. What makes this story even better is the Milwaukee staff remembering me as an individual when I came back for my World Record Attempts in 2008 & 2009. 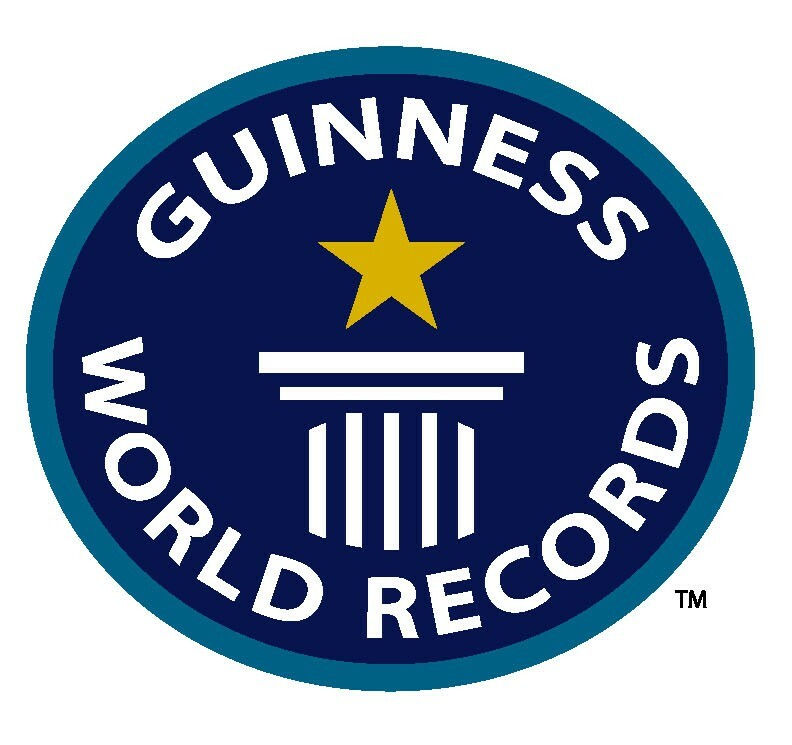 The staff went as far as to write the Guinness Book of World Records evidence department on my behalf when I needed to clarify some evidence up. Six different ushers signed Affidavits of my physical person being at the ballpark before first pitch in what ended up being a successful Cubs and Brewers doubleheader bid in 2009. The city of Milwaukee has quickly become one of my favorite places to visit in the USA. I routinely start or end all of my baseball trips there now. The city offers great deals on hotels, car rentals, food and they have one of the best ballparks in the Major Leagues. Maybe now, I can see why the park staffing seems so happy to welcome you to their park and city. As a paying fan, it is just nice to feel that way. 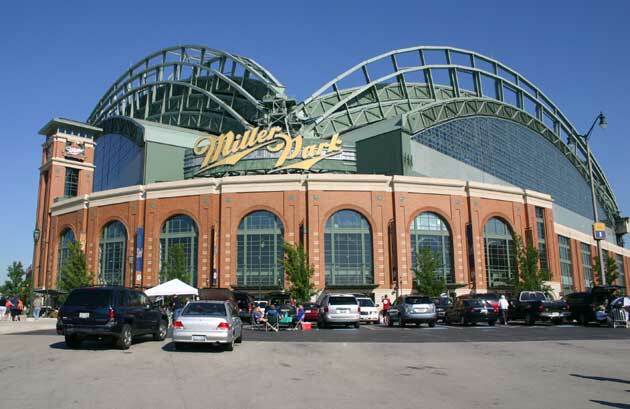 Kudos to you the staff of Miller Park, keep up the great work and I will see ya on April.21/2012! All the other teams should pay attention to your (B.T.E-Better Then Expected) attitude and implement the same philosophy at their own parks! Posted on March 19, 2012, in The Rest: Everything Baseball and tagged Chuck Booth, cincinnati, cleveland indians, fastestthirtyballgames, Guinness Book of World Records, miller park, milwaukee, milwaukee brewers, progressive field, The Rogers Center, toronto, wrigley field. Bookmark the permalink. 1 Comment.